Shane Chalke, David Brooks, Mark Solomon and Jamie Solomon hiked a gorge-ous 11 miles on September 9, a “stout” 11 miles, as Shane declared it. 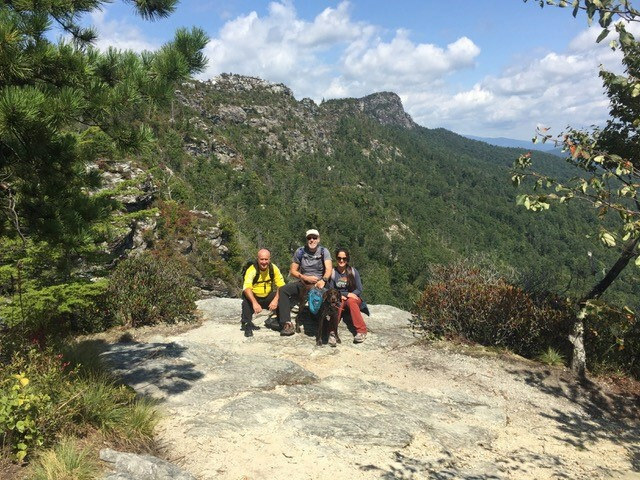 Starting at Table Rock on the east rim of Linville Gorge, they had “wonderful views from the Chimneys and hiking down Shortoff Mountain. 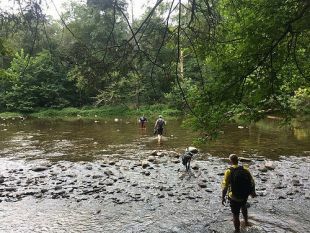 After crossing the wide Linville River, “this hike is straight up Pinnacle.” Eleven stout miles indeed!